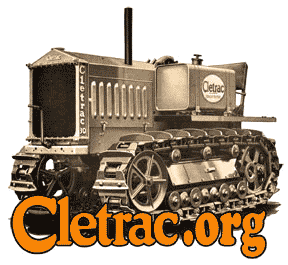 Here's an indication of how many of us have recently restored our Cltrac, are actively restoring a Cletrac at this time, or plan to do so in the near future. If you want to do what you want to do, you have to do what you have to do. i am currently restoring an AG6 ,will finish in the next few weeks. i finished a BGSH with heil dozer in march, and a green OC3 in july.i still have two more that are not restored and have not decided which to do next, low serial# general or a 59 OC6. I found a Model K Cletrac in a field in Western North Carolina. I want to purchase it and start a restoration. I will need a source for some parts, such as a head and exhaust/intake manifold, carb, steering wheel. Anybody have any suggestions where these parts might be found? PS - I could not figure out how to actually vote on the poll. Am I missing something or is the poll no longer active?